This is an application developed for an AP Calculus course. 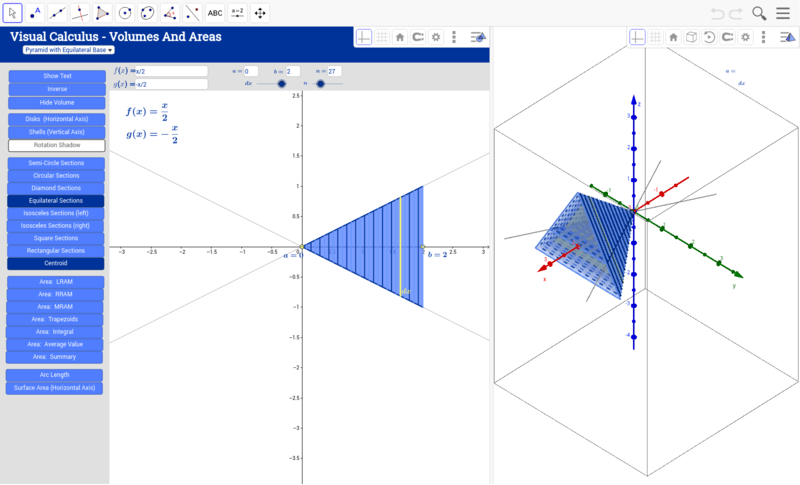 It allows students to more readily visualize volumes and areas. This application allows the user to either enter their own functions, or to choose from an extensive list of textbook questions and previous AP exam questions. It allows functions to be graphed in terms of x or in terms of y, allowing integration with respect to x or y.